Thursday, Jan 10, 2019, 5 – 6 p.m. 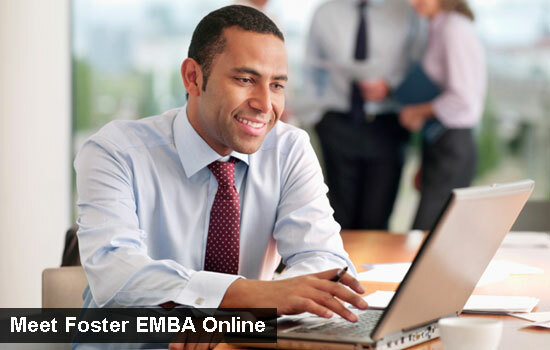 The Foster EMBA Application Workshop is designed for potential applicants who have attended an information session or met with an EMBA admission representative. The session will focus specifically on the application and admission process. You are invited to attend this informative 30-45 minute session to learn how to prepare the strongest application possible. All sessions are Pacific Time.